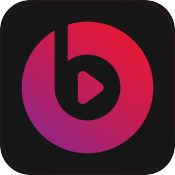 As previously reported, Apple plans to relaunch its recently acquired Beats Music subscription early next year and hopes to offer the service with with a lowered monthly cost. According to new "industry scuttlebut" relayed to Re/code, Apple is pushing music labels to cut streaming music subscription prices in half to $5 per month. The logic of Apple’s argument, relayed by people who’ve heard the pitch secondhand: Apple’s best iTunes buyers spend about $60 a year on downloaded music — $5 a month. So if subscription services dropped that low, any download buyers that switched over to the streaming model would generate just as much revenue for the music labels. And, more important, the market of potential subscribers would get much larger. Any reduction offered to Apple would be available to other services, making it less likely music industry executives would approve of a 50 percent discount. Re/code notes Apple will more likely meet the music labels in the middle with a monthly fee in the range of $7-8. While Apple negotiates the terms for its Beats Music streaming service, rival Spotify is upping the ante with a new Spotify Family plan. Similar to Rdio's Unlimited Family plan, Spotify Family allows a premium subscriber to add up to four additional members for $4.99/month each, a 50 percent discount off the regular $9.99 individual premium plan. Spotify announced the family plans today and will roll then out globally in the coming weeks. I wouldn't pay 1 cent per month for it. There's free music everywhere. Who would buy a loaf of bread when you can just steal it? Apple, once again, wringing and stretching the content suppliers BUT holding firm on their profit margins. Pretty soon there won't be any content. While I agree with your sentiment, I'm not entirely sure he was talking about stealing music. I'm listening to free music streaming on Songza right now. The odd ad here and there keeps it at an affordable zero dollars per month. There's no need to steal it. It's freely available and legal. TV too. Yeah but some of us hate ads. There's nothing like streaming Christmas music on Pandora on Christmas morning and having a mature-rated Trojan condom commercial full of questionable innuendo and "noises" blaring over the speakers. The awkward silence as teens, parents, and grandparents sit around trying not to make eye contact with anyone else in the room is extremely fun and anxiety inducing. If only that would happen again this Christmas. Alas, my brother-in-law now pays for streaming so we're good to go. Yes, just like music, the baker can make one loaf of bread and then copy it as many times as he wants and for as long as he wants for $0. With so many free options and being able to keep all of my music on my phone, I still don't get the appeal of paying for radio. If I were starting from scratch with no music maybe - maybe that's why this appeals to younger people. But I have all of my CD's and years worth of purchases on my phone - anything I want to listen to is there. This is hilarious. People get their pants in a fit and going off the deep end for Adobe 'selling' Photoshop and Lightroom in a $10/mo subscription package, yet they happily fork over $10/mo to listen to music, while all you have to do is turn on the radio and you can listen for free. And the biggest kicker is that for most people using PS and LR, it will make them money while the money spend on streaming music is just gone. Personally, if I want to _listen_ to a record, I will buy the cd. If I want background noise, I will turn on the radio. There is no way in hell I am going to pay for that.